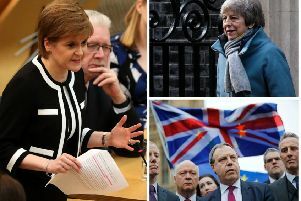 More than half of Scottish small businesses do not feel well informed about the European Union referendum with just four months to go until the vote, a survey has found. The Federation of Small Businesses (FSB) survey also found more than half of the 520 firm owners questioned have already decided how they will cast their ballot on 23 June. Asked “how well informed do you feel about the forthcoming referendum on the UK’s membership of the European Union?”, 11 per cent of firms said they did not feel at all informed while 42 per cent said not very well informed. A further 29 per cent said they felt informed, 8 per cent very well informed, 9 per cent said neither informed or uninformed, and 1 per cent did not know. In response, 39 per cent said they have always known how they will vote while 17 per cent have made a firm decision on how to vote. A further 20 per cent said they have made a decision but could change their mind while 23 per cent are undecided. Asked what would influence their vote, Scottish businesses highlighted the governance of the EU and the free movement of people as top concerns. Other factors include the economic impact on the UK and the administrative burden on businesses as a result of complying with regulation. Andy Willox, the FSB’s Scottish policy convenor, said: “This groundbreaking survey reveals the big questions for Scotland’s smaller businesses ahead of June’s EU vote.